Magazines There are 23 products. Heavy hardcover book, approx. 500 pages. 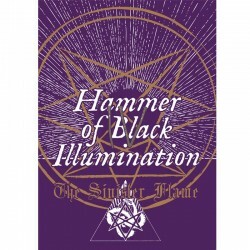 “The Devil’s Cradle: The Story of Finnish Black Metal” by Helsinki-based journalist Tero Ikäheimonen is a definite history of one of the most uncompromising and brutal music scenes in the world: the Finnish Black Metal. 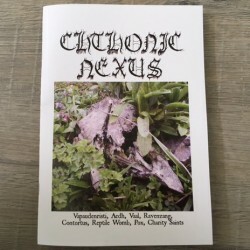 New Era Productions is the proud European distributor of this excellent Finnish ‘zine which is written by Antti of Circle of Ouroborus. In-depth interviews with often unconventional bands, old-school cut and paste layout and xeroxed, perfectly fitting the atmosphere. 48 A5 pages with Agalloch, Pest, Conjuration, Nuit Noire, Mephisto, Verge, Todesstoss etc. With Nahtrunar, Moenen of Xezbeth, Endalok, Sovereign, Malakhim, Vent & Krieg. 40 pages, A5 size, professionally printed. 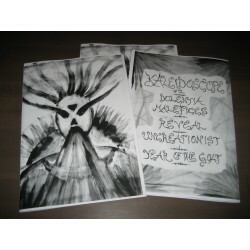 32 A5 pages, greyscale with full color cover, 200 copies. Interviews with Vapaudenristi, Aedh, Pox, Reptile Womb, Contortus, Vaal/Ravenzang, Charity Saints. Mostly dealing with the ideas, lyrics and motivation of the bands. (ZZS 032) Zazen Sounds Magazine Issue 3. In our pages you can read interviews with Arcana,Negative Plane,Desiderii Marginis,Atrium Carceri,Goatvomit,Of Earth and Sun,Devathorn,Nam Khar,Martyria,Bestia Arcana,Svartsinn and Inferno! 110 pages of pure Metal, with interviews from; Ares Kingdom, Manilla Road, Mitochondrion, Annick Giroux, Ysengrin, Howls Of Ebb, Malokarpatan,Seven Sisters Plus the usual hundreds of in-depth LP/CD/tape reviews. 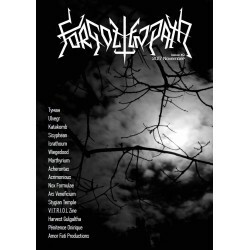 New Era Productions is the proud European distributor of this excellent Finnish ‘zine which is written by Antti of Circle of Ouroborus. In-depth interviews with often unconventional bands, old-school cut and paste layout and xeroxed, perfectly fitting the atmosphere. 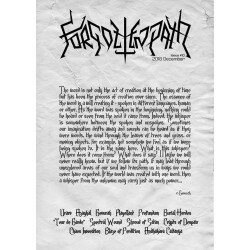 Griftegard, Undergang, Autopsy, Evil Spirit, Hobbs Angel of Death, Hour of 13 etc. 56 A5 pages. 48 A4 pages with fresh blood: MYSTICUM, HORRENDOUS and POSSESSION and selected limbs from earlier issues:MALEFICÉS, SLAEGT, TOLLUND MEN, VENEROR, TRIBULATION, CONVENT GUILT, COSMIC CHURCH and BÖLZER. 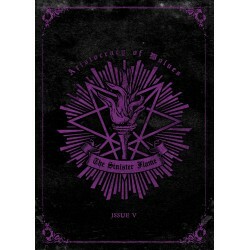 Latest issue of this magazine published by Finnish editor Northwind: Exquisitely designed and illustrated by Mikko Mattila (ISTEN) and professionally printed in full colour, with its 56/A4 pages THE SINISTER FLAME IV is a unique and unequaled platform for Satanic Wisdom and Art.